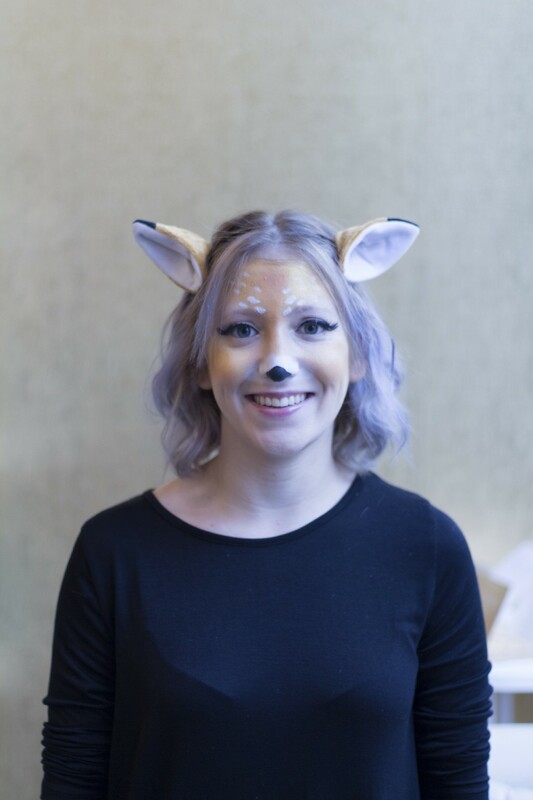 DIY your way to the Best Costume prize with just makeup, face paint and one accessory. Life’s simple pleasures are some of the best: hangover-free Saturdays, sipping pumpkin spice lattes in the fall and of course, marveling over how cute you look with a Snapchat filter. 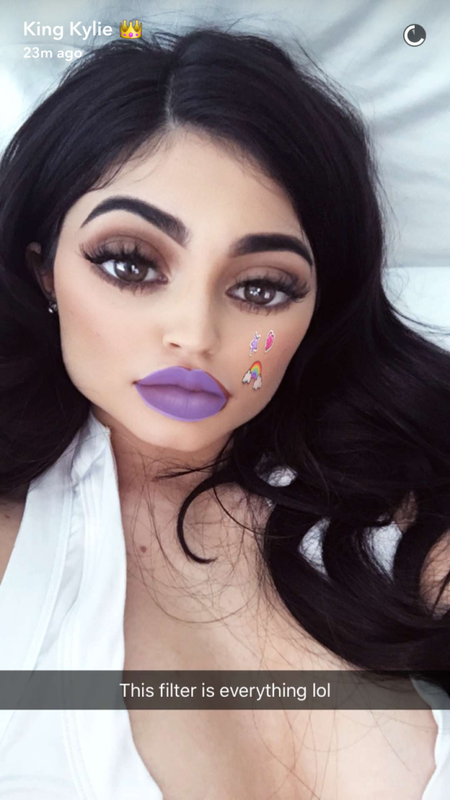 With Halloween around the corner, becoming your favorite Snap filter not only makes for a pop-culture-relevant costume, it’s also incredibly easy to DIY for all you last-minute costumers out there. (Personally, I don’t think you need Halloween as an excuse to walk around with loads of glitter on your face, but I digress.) Transforming into a Snapchat filter also leaves you pretty free to go bonkers and wear whatever TF you want to compliment your look. 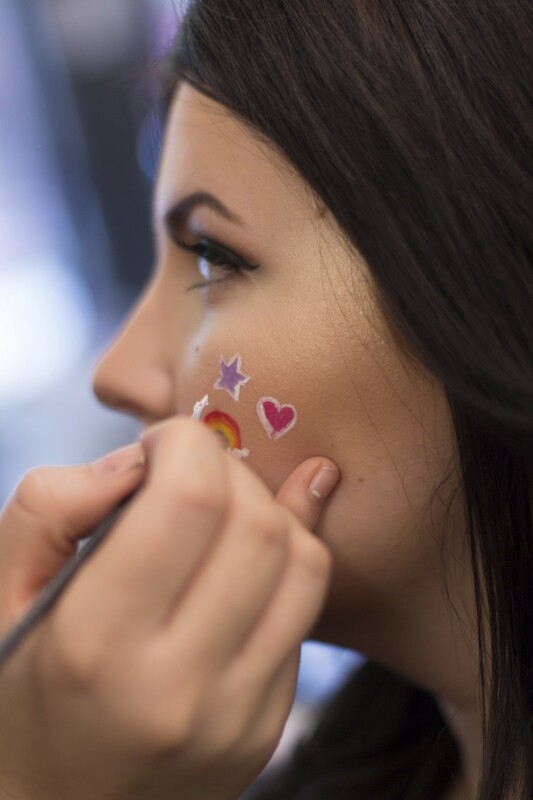 We visited the beauty experts at Chicago’s Goldplaited to get the run-down on creating Snapchat filter makeup. 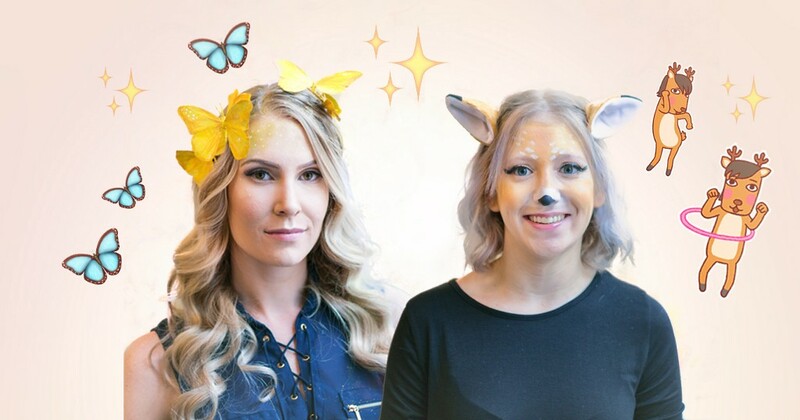 With face paint, basic makeup and a few accessories, we recreated the butterfly crown, Bratz doll and deer filters IRL! Here’s how to get the looks yourself. Goldplaited’s artists brought this glowing look to life with tons of glitter and highlighter. They curled our model’s hair to add to the ethereal effect. If you’re feeling really adventurous, carry around a selfie light to ensure you always have impeccable lighting. 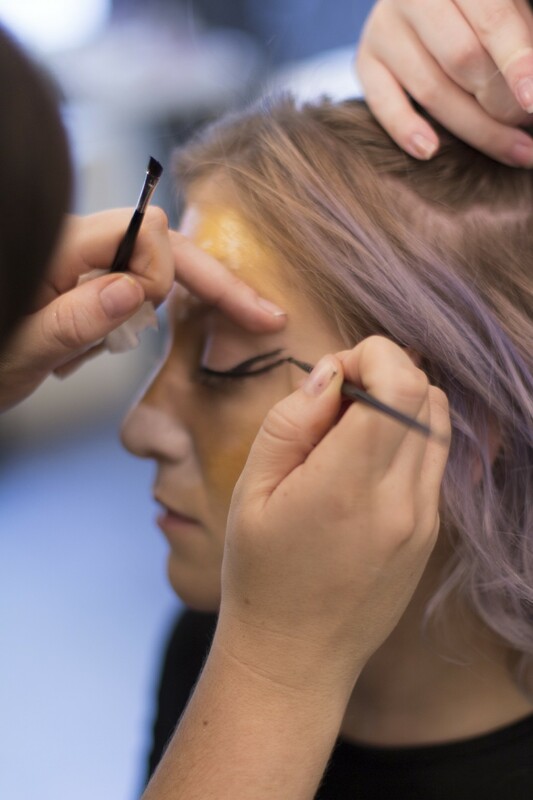 Step 1: Apply eyeshadow base and primer to your lids for prep. Step 2: Cover your lids with golden eyeshadow and then use a darker, bronze shade to fill in your crease (this will make your eyes pop). Step 3: Take your eyeliner (gel, liquid or pencil are all OK) and wing it up towards your brow. Step 4: Apply your fake lashes or mascara (or both!) to accentuate your lashes. Step 5: Apply brow highlighter under the brows and below your bottom lash line (you can’t go too crazy with it!). 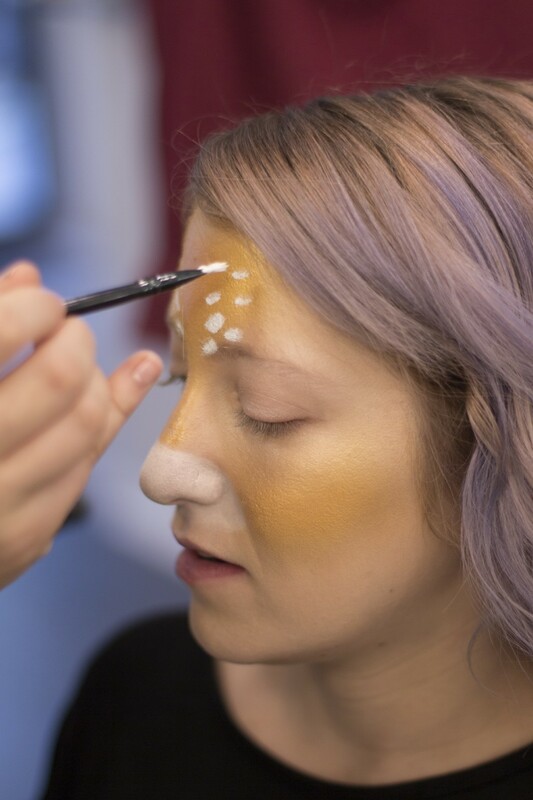 Step 6: Apply foundation and setting powder and, if you’re feeling ambitious, contour your face. Step 7: Apply white glitter in the corner of your eyes and dust around the lash lines. Step 8: Sweep more highlighter across your cheekbones. Step 9: Fill in your lips with a sheer pink or neutral color (the focus should be on your eyes and glowing skin). 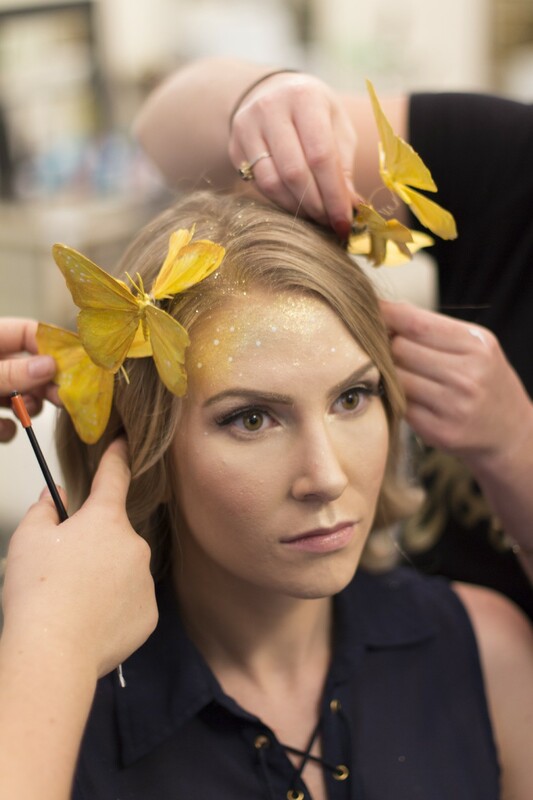 Step 10: Apply gold glitter around your hairline, down towards your forehead, and then dust it in your hair so your roots are glitterfied and glorious. Step 11: Paint tiny white dots on your forehead. 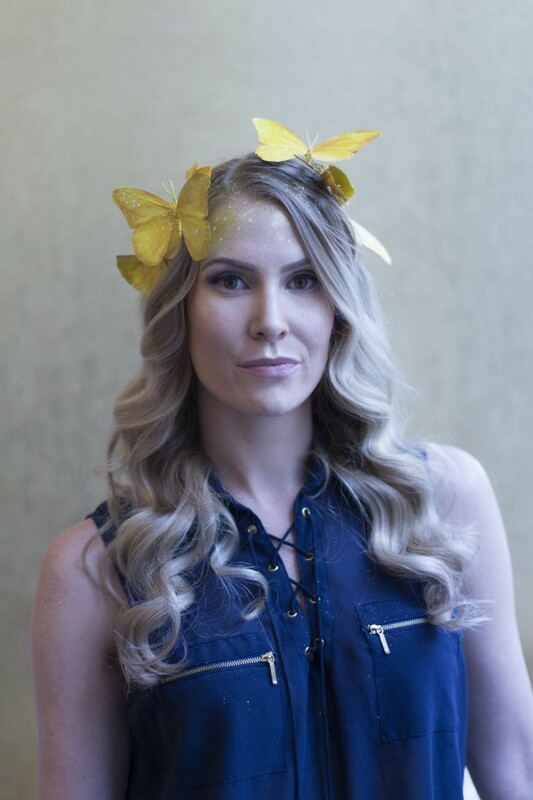 Step 12: Add the butterfly crown! This beautiful 90s look is so much fun to play around with. Goldplaited’s pros teased our model’s hair to give it a full, dramatic effect that matches the Bratz doll’s sass. 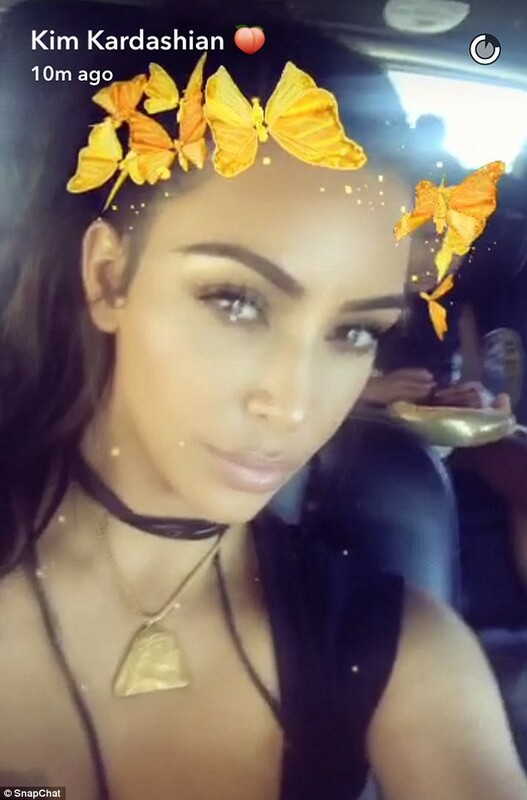 Repeat steps 1–6 for the butterfly crown filter. For this look, substitute bronze eyeshadow for taupe, and apply in the crease. 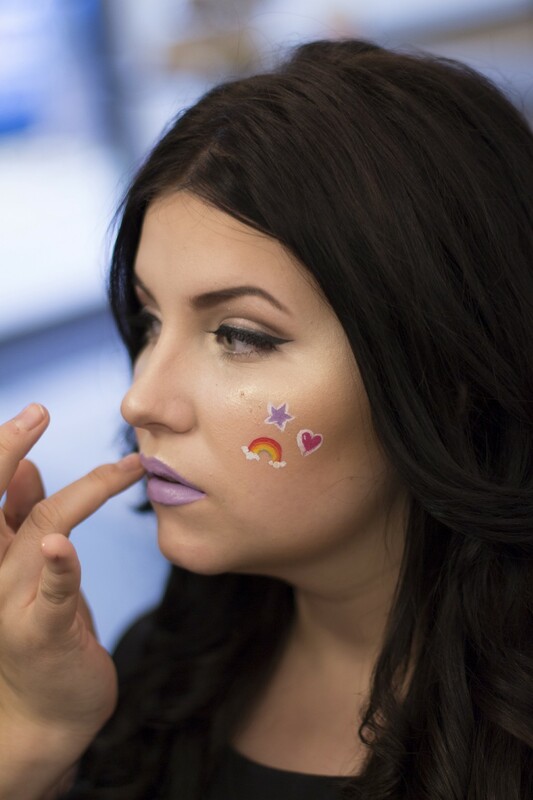 Step 7: With a thin brush, carefully outline the rainbow, heart and star “stickers” on your face. (It helps to have a friend to do this for you.) Once you have basic outlines, fill them in with colors and outline in white. 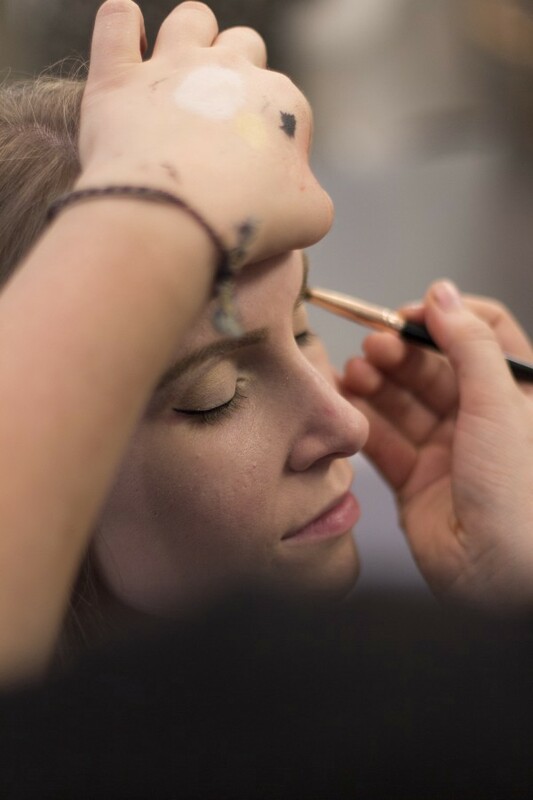 Step 8: Using white face paint, draw a mock lash line a few centimeters below your actual bottom lash line. Then use black face paint to draw some fake lashes under your eyes. This will make your eyes look HUGE, just like the filter. 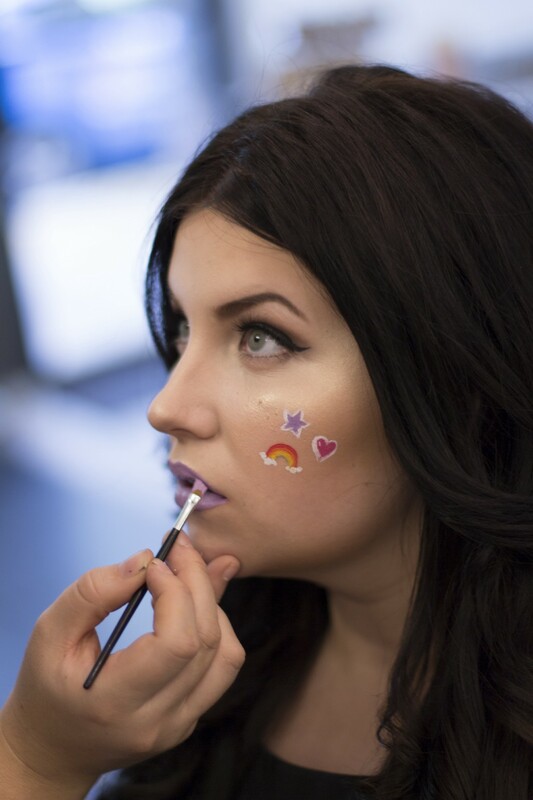 Step 9: Mix purple and white face paint to create a light violet color for your lips. 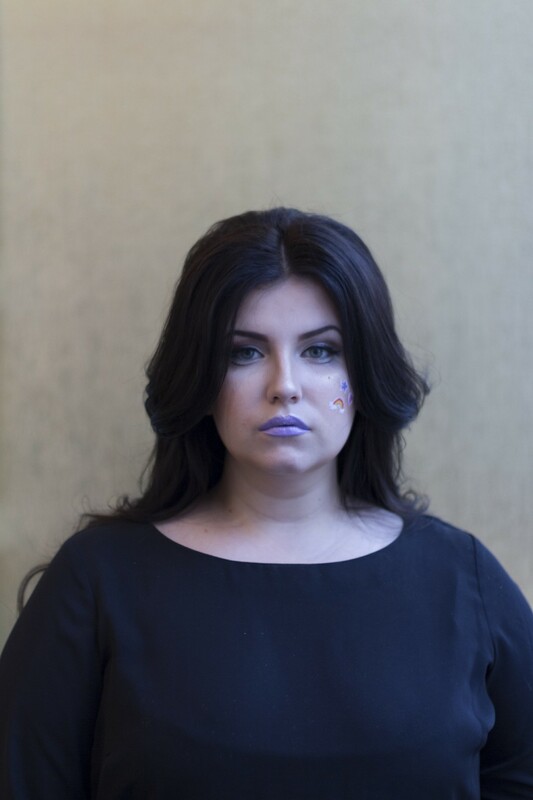 If you would prefer not to use paint, you can opt for a light purple lipstick instead. 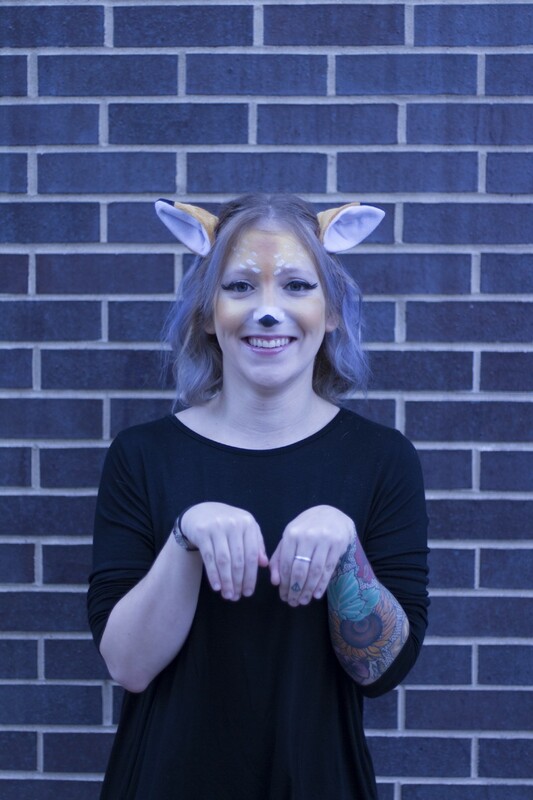 The deer is one of the most universally-loved Snapchat filters because it lets us all live out our collective dream: glowing skin and gorgeous, large eyes. Step 1: Dust white eyeshadow over your entire lid. You can apply a darker shadow in the crease if you want to make your eyes look bigger. 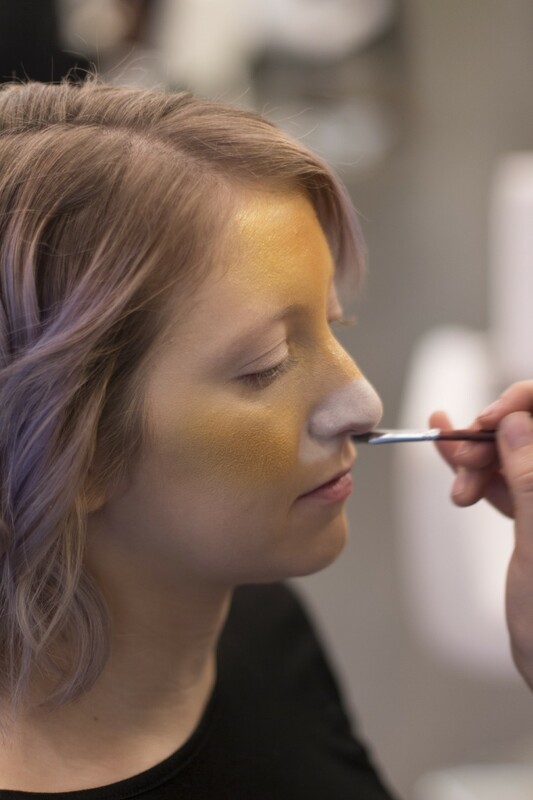 Step 2: Use gold face paint as your base, blending into your cheeks, nose and forehead. 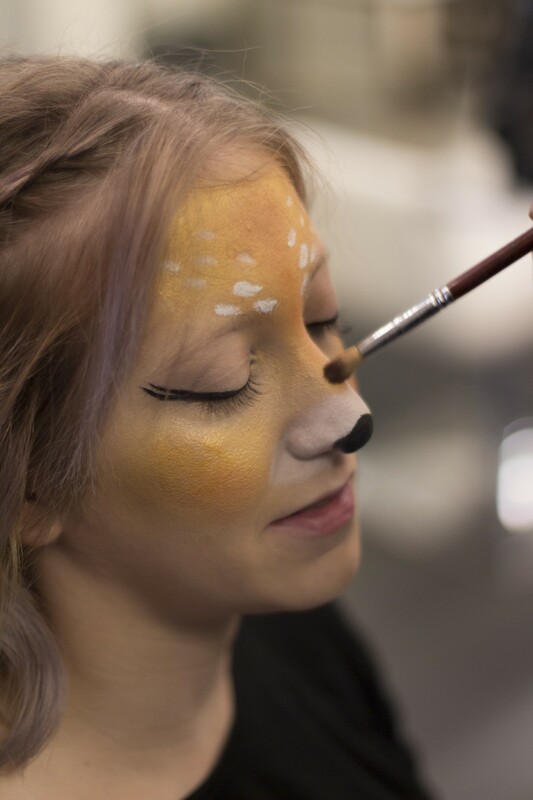 Then take orange face paint and layer it on top of the gold face paint. Step 3: Take a small brush and draw white specks above your brows, going up towards the hairline. 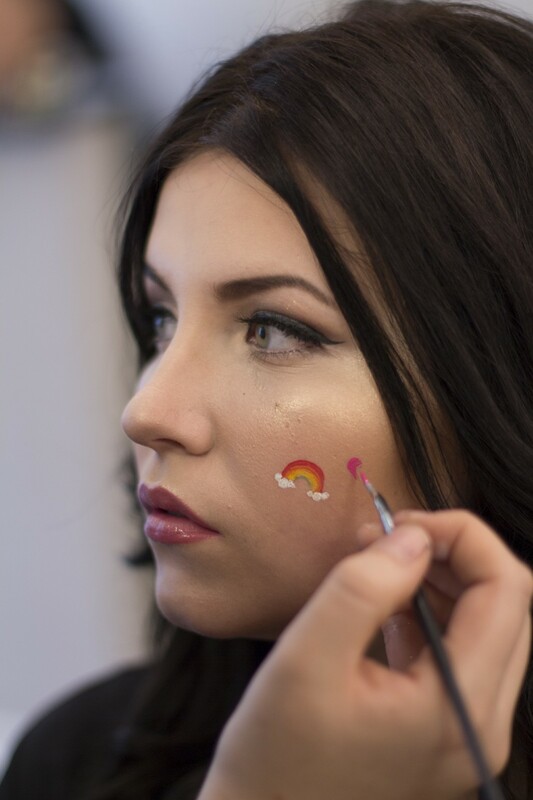 Then use the white to paint the bottom half of your nose and the area under it. 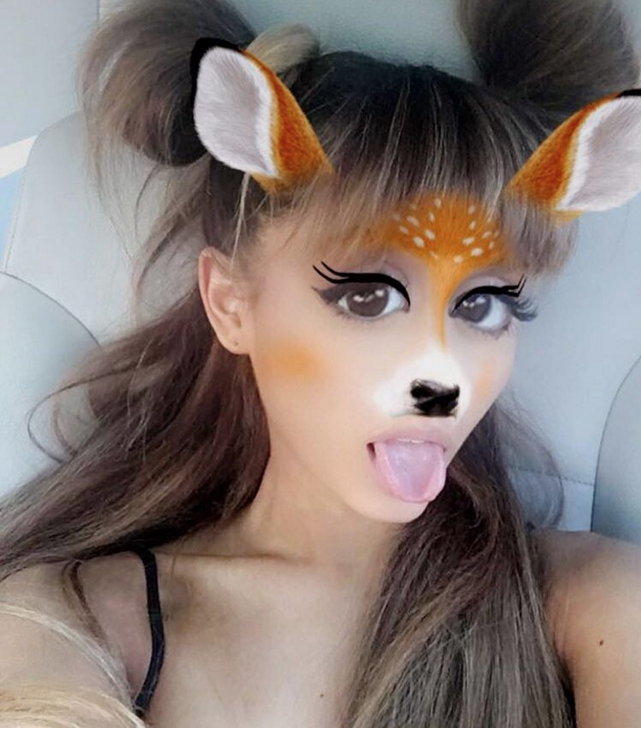 Step 4: Since the deer filter boasts extra-long lashes, you’ll want to make your eyeliner extra thick to achieve its dramatic look. Starting from the inner corner of your eye, use liquid liner to draw a thick line that goes up towards your brow, and then another line that goes straight out. Step 5: Fill in the tip of the nose with black face paint. 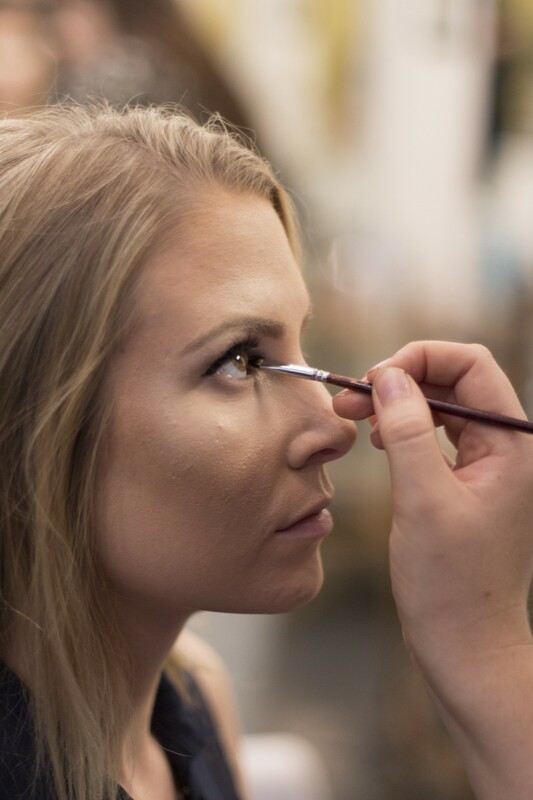 Step 6: Sweep highlighter over your cheekbones and above your brows to get that super-glowy effect. Step 7: Add those long fake lashes and watch your entire face transform. Step 8: Apply a soft pink color to the lips. 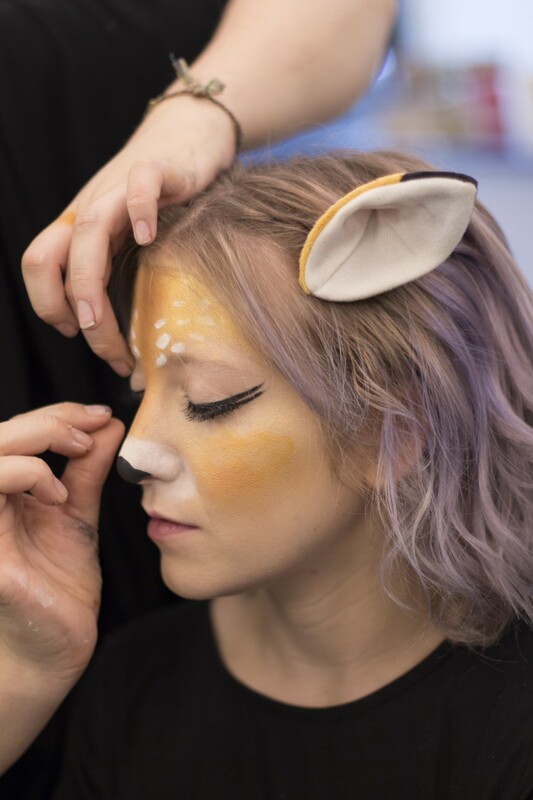 Step 9: Add the ears and voilà: You’re a deer!